Recently, I’ve had the occasion to discuss with a fellow Heathen the use of the term “myth” with respect to its appropriateness in defining what our sacred stories (our lore) really are all about. At the heart of the discussion were two divergent views: one, where it was felt that the term “myth” was not a duly respectful one in terms of defining our lore in that it holds a negative connotation which renders myth as being little more than untruths, falsehoods, and/or wild fabrications (his); the other, the complete opposite (mine). I share with you below my counter-argument to his which defends the view that the term “myth” is most applicable in terms of defining what our sacred stories truly are. Further, it not only defines our sacred stories but defines us as a People who in the end hold a completely different notion with respect to the literary legacy which we determine as sacred. Here was my response: “Although reading about all of these definitions from various sources is interesting and they do have merit *within a certain context*, I think it is important to consider the following. To compare how a Christian would feel about his/her revealed spiritual truths being considered “mythology” as opposed to how an Odinist would feel about his/her cultural stories being considered mythology is in my view a flawed and erroneous comparison from the get-go. Our worldviews and hence the very source of our respective “sacred stories” (if you want to characterise “mythology” in this way for the sake of argument) are extremely different. It is akin to comparing apples to oranges. Christians do not believe in their sacred stories as mythology since these sacred stories are believed to be “revealed” to them. All Abrahamic faiths have this notion in common. The basic idea behind this is that a Supreme, Other-Worldly Being sought fit to present himself (to reveal himself) to a people, as it were. As found in Wikipedia, “in monotheistic religions, revelation is the process, or act of making divine information known, often through direct ontological realization which transcends the human state and reaches into the divine intellect.” Thus it is very much the idea of the Abrahamic God acting as an operator upon his people. Odinists on the other hand *do* subscribe, and quite deliberately and quite strongly I might add, to the view that our sacred stories *are* myths. The notion of myths in this context has nothing to do with issues of veracity of certain stories but instead have everything to do with the *living* oral traditions, as found in sagas, legends, heroic tales, and folklore of a People. This is more properly the overall notion that should be appropriated to the term “myth” with respect to an Odinist approach to its meaning as a word, in my opinion. (Wikipedia gives a well-rounded view of the concept http://en.wikipedia.org/wiki/Mythology) Thus it’s easily recognised that ours is *not* a revealed tradition but one that is clearly very organic, salt-of-the-earth, and grassroots, if you will. Unlike the Christians, our sacred stories were not revealed to us by our Gods and Goddesses. Our oral tradition, hence our myths, have been handed-down to us throughout the ages (albeit neither intact and nor complete, quite unfortunately) and are imbued with the essences of our collective kinfolks’ past life experiences, some related in metaphorical language, some not. 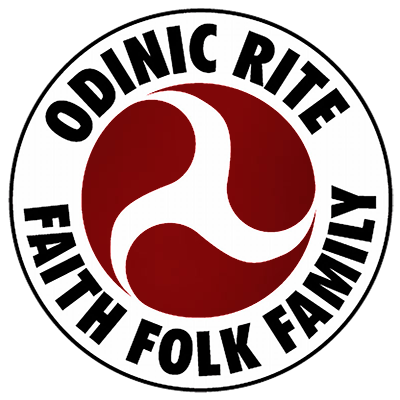 It is from this well of collective life experience as a Folk that we may then extract our own concepts of religious life and spiritual expression as Odinists.